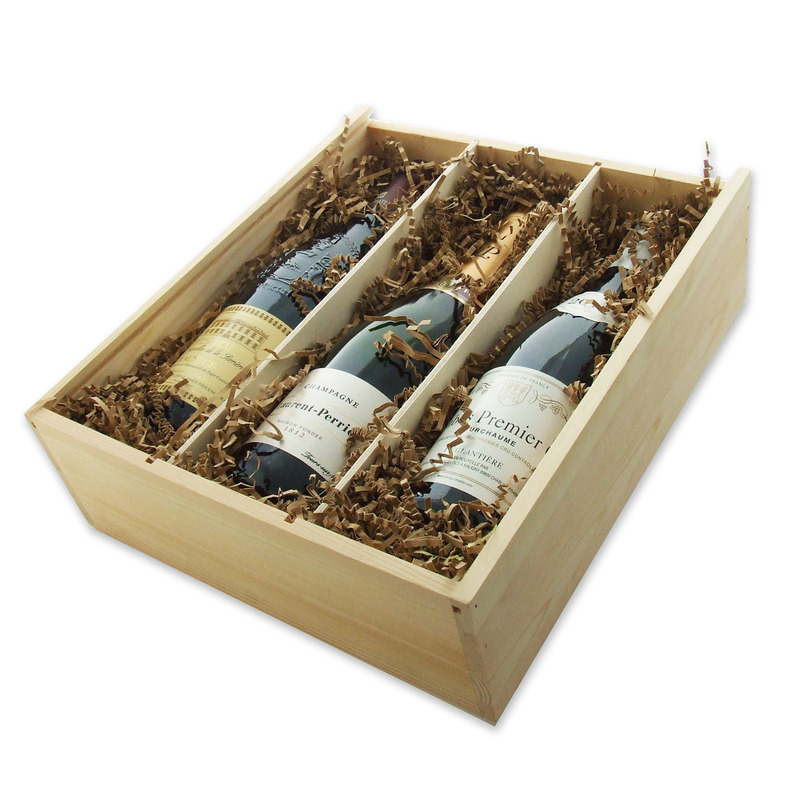 Buy our Treble Bottle Gift Set number 1 which comprises of 1 x 75cl bottle each of the below beautifully presented in a sliding lid presentation box. Perfect for that someone who prefers a choice. Chateauneuf-du-Pape This wine is a dark ruby colour with a complex nose of spices including hints of pear and has a smooth and lingering finish. To be enjoyed with rich rustic flavoured dishes. Chablis (Prem Cru) Fourchaume From the Chablis Region of France this wine has aromas of peach and citrus fruits and is dry on the palate with peach and almond flavours. Laurent-Perrier Brut Pale gold in colour with a delicate and complex nose, with hints of citrus and white fruits. Fresh and easy on the palate, with full flavours, plenty of fruit, good balance and length This product is hand packed onsite by Gifts International, and is not affiliated with any other brand. Gifts International is responsible for this product combination/set.